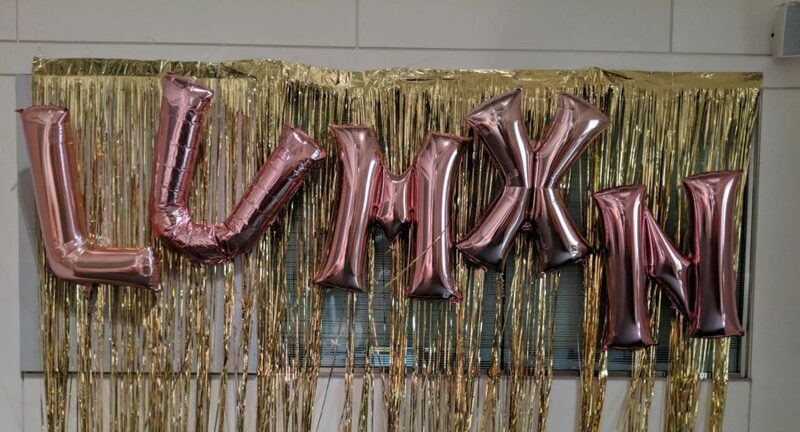 LUMXN, a new zine from the American University Student Government Women’s Initiative, had its launch party on Friday, March 23. This publication focuses “on the womxn who are illuminating the world around them” through unconventional work in their communities. ‘Womxm’ is an alternative spelling to women in efforts to move away from patriarchal language and to be more inclusive of transgender women and non-binary people. This publication is part of the Women’s Initiative’s programming and education on gender and sexuality. “We wanted to bring this to the DMV area and also to college campuses. We knew there was a lot of cool work that may not be highlighted all of the time,” said co-founder and co-editor Reina DuFore. Dufore is also a staff editor for AWOL as well as Student Media Board Co-Chair. LUMXN provides an array of stories and interviews to educate the community on feminism and activism in the Washington DC area. DuFore and Marlin Ramos are the editors and founders of the zine. Both expressed the importance of the publication and their process in creating the piece. “We wanted to push what it means to be a traditional feminist and re-conceptualize feminism by using stories of women in the D.C. area,” said DuFore. DuFore reflected on picking up a zine in Portland, Oregon, “God of Girl Crush.” The zine spotlights 10 women each year doing advocacy in their communities. Rather than highlighting a typical woman in politics or the head of an NGO, it covers stories about unconventional activism. DuFore talked about a woman who created a “feminist library on wheels” in her community. Ramos reflected on the beginning of the process.“What do people not know and what do they need to know about?” was the critical question in creating the zine. LUMXN is intended to shine a light on non-traditional activism. “The title is a play on the ‘feminist’ spelling of women that replaces the ‘e’ with an ‘x,’ that removes the idea that women are always tied to men. We are making a statement with our title in and of itself,” DuFore said. “A woman is a light, and these women are light,” Ramos said, elaborating on the reason behind the title. Those in attendance agreed with the intent of the founders. “We are female, we are everything male. I think this [zine] does a good job of taking that away,” said freshman Aaliyah Charania. Another publication present at the launch was “Elbow Room,” a sister publication to LUMXN. 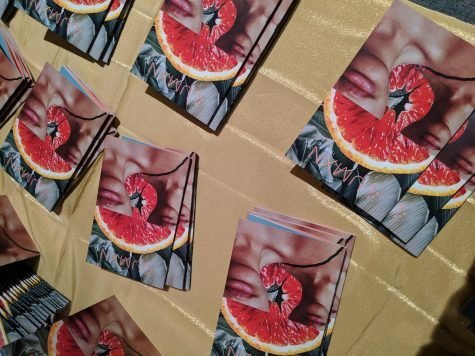 This zine pushes to create space for “the critical voices and unique perspectives of people whose voices aren’t typically heard elsewhere.” In short, the print strives for underrepresented and marginalized groups “to have enough elbow room at the table,” stated editor Allison Grace O’Donnell. LUMXN is full of interviews with an array of different people. For example, a piece was written by Lauren Bowing about Imani Yvonne, a dating consultant who works with femmes and non-binary people in their dating lives to provide direction. “It’s really cool to showcase local diversity,” Bowing stated. In addition to interviews, the zine also features a playlist curated by one of the general directors of WVAU, Calkie Fisseha, and book recommendations by Professor Lily Wong from the Department of Literature. The zine also has a section of diary entries, which consists of written pieces and drawings submitted by American University students. The launch party transformed Battelle Atrium to have a similar embodiment of a club, with artists like Rihanna and Beyonce playing over speakers and gold streamers lining the walls. The founders hope that the zine inspires the reader to notice women making differences in their community. “I want people to view women through a different light after reading this. I want people to see themselves as ‘lumxn’, people who are able to shine a light on other people to create change” said Marlin.